You have a few styles to choose from upon checkout. 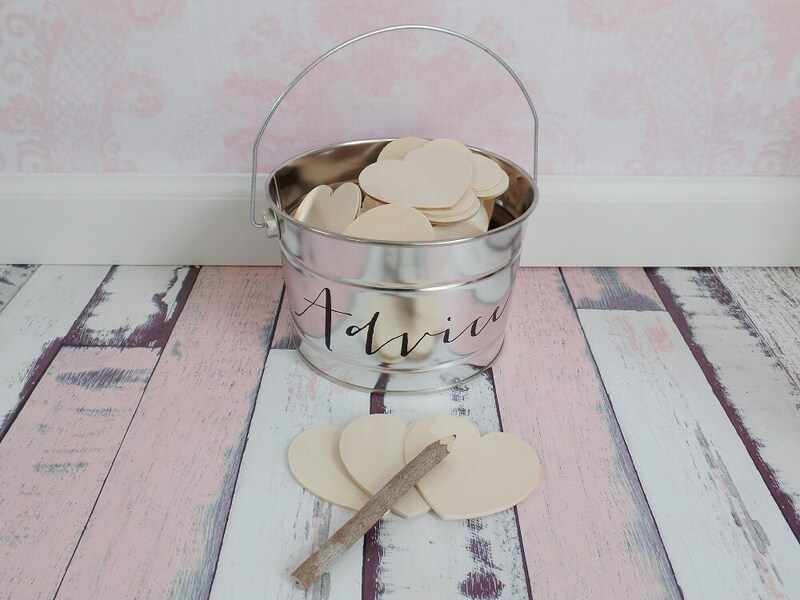 An adorable yet simple Advice bucket that can be used at weddings, bridal showers and more.! 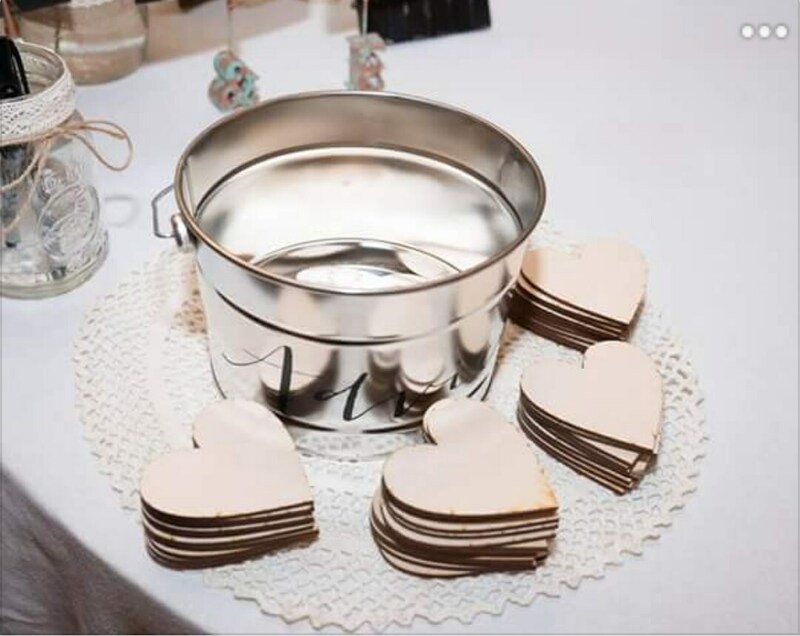 Purchase the bucket only to use your own note cards or hearts or purchase the bucket with wood hearts where guests can write down their best advice tips on a happy marriage for the couple. 'Advice' has been applied to the bucket using black vinyl, we have more colors available convo us for our color chart. 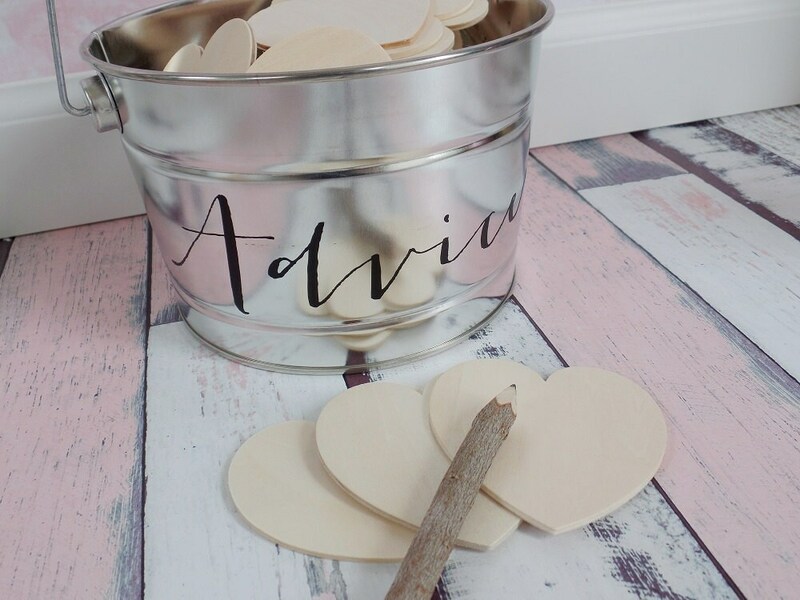 Wood Hearts Measure: 3" x 3"
This is perfect!! 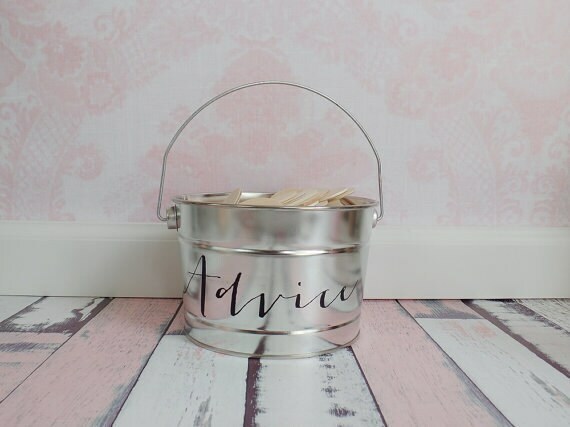 I especially like how the bucket actually says "Advice" on it! 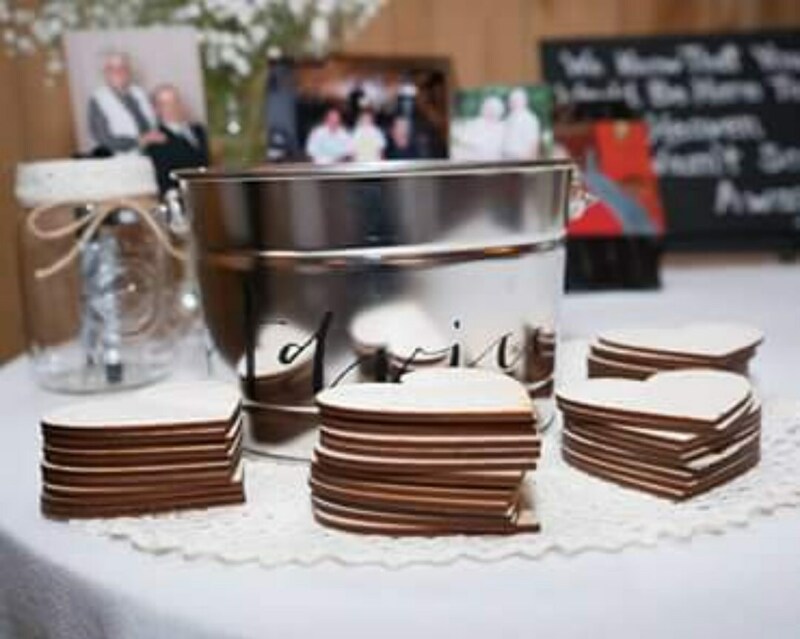 I honestly can't wait to use this at my wedding!! I most definitely will buy from this shop again and again!! !